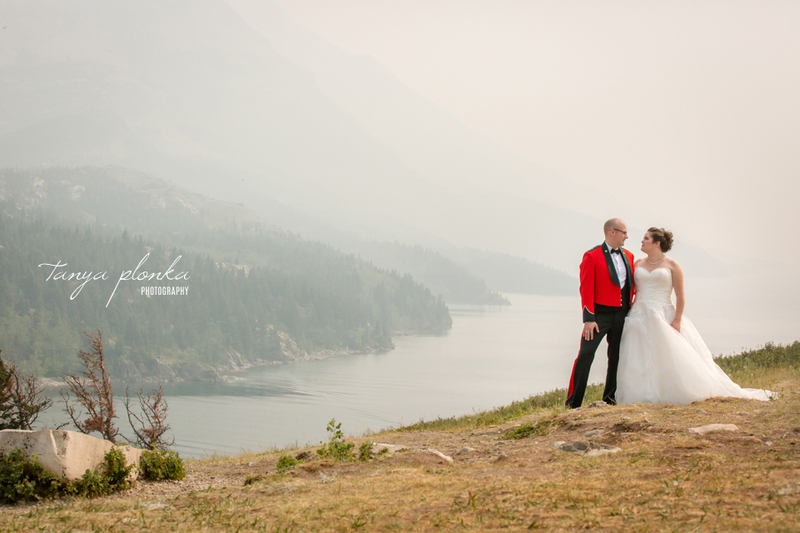 Monika and Peter love the outdoors so it was no surprise that Waterton was the perfect fit for their wedding. 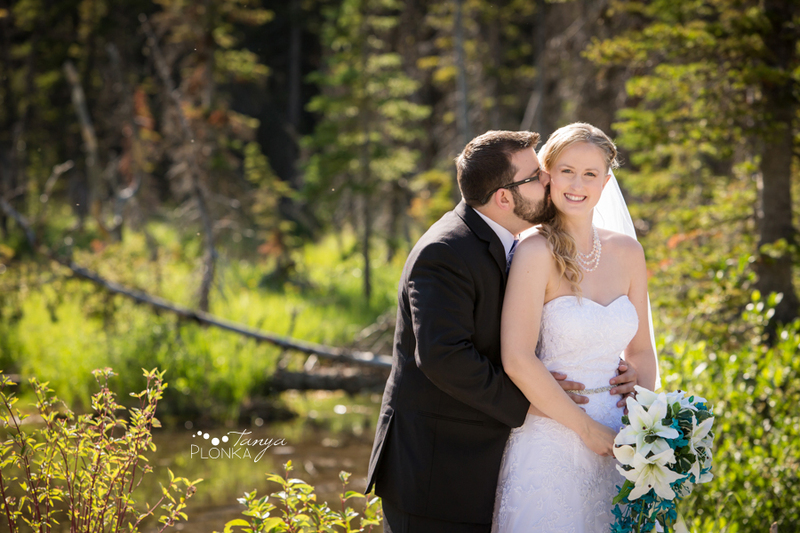 Their Bayshore Inn outdoor yard ceremony took place in such gorgeous weather with their closest friends and family in attendance. All day they were surrounded by so much love! 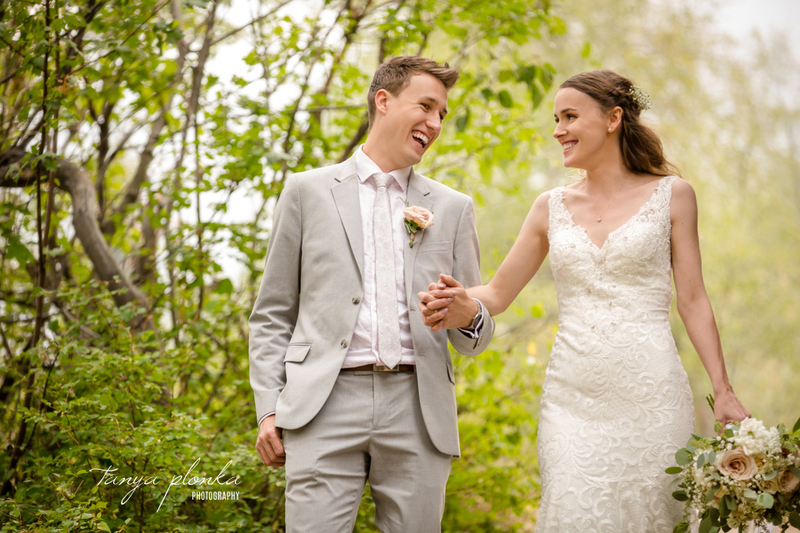 They subtly worked a couple of their geeky interests into the wedding with superhero socks, cufflinks, and even underwear, plus a Star Wars wedding band. 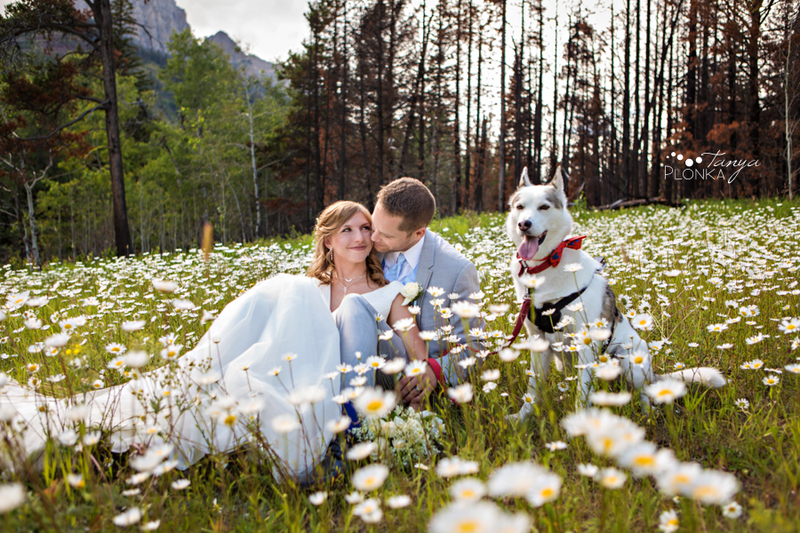 The rest of their theme had a romantic look with subdued colors and beautiful white wild flowers. I loved watching Monika and Peter interact with each other. They are so comfortable together and naturally melted into each other’s arms for every photo.